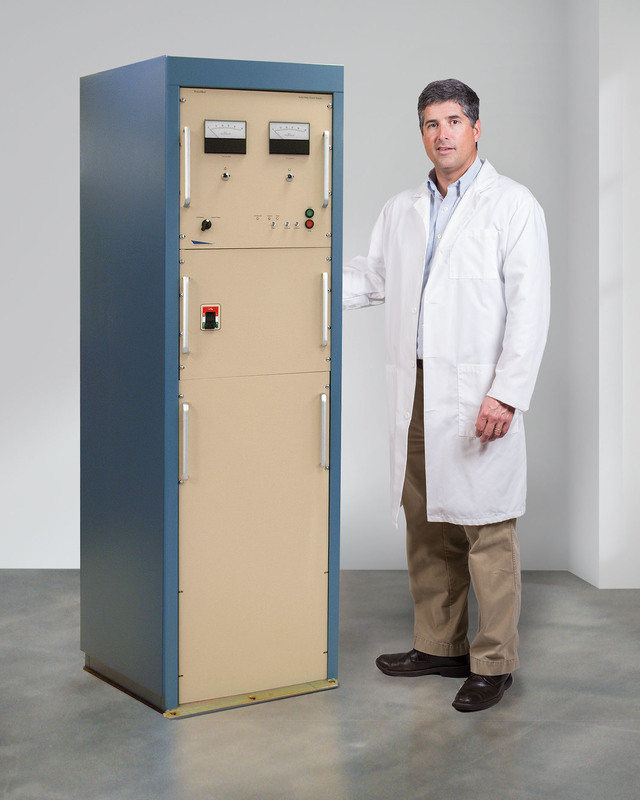 A solid-state high voltage DC power supply that provides high efficiency and reliability in a compact enclosure for use with accelerators, radar, ion implantation, and various industrial processes has been introduced by Diversified Technologies, Inc. (DTI) of Bedford, MA. The DTI HVPS Series Switching Mode Power Supply features all solid-state construction, is fully integrated and packaged in a 24” W x 36” D x 74” H cabinet, and uses tap water for cooling. Designed for precision DC high voltage applications, it is available with 75 to 250 kW average power at up to 250 kV and offers typical voltage regulation to ±0.1% and maximum voltage ripple of < 0.1% with 0.01% regulation and ripple of < 0.001%, if required. Eliminating the complexity involved with connecting and controlling multiple smaller switching power supplies, the DTI HVPS Series Switching Mode Power Supply can be configured to customer application requirements. Providing > 92% efficiency and > 100,000 hours MTBF, this high voltage power supply offers full over-voltage and over-current protection up to +30%. The DTI HVPS Series Switching Mode Power Supply is priced from (USD) $185,000.00. Price quotations are available upon request.